“GERMANY (Geisenheim / Wiesbaden) – “Today, there will be a break – not only for the outgoing director, but also for the Geisenheim Research Center whose development has been accompanied and supported by Prof. Dr. Klaus Schaller for many years,” emphasized minister Gerd Krämer in his opening speech. He presented Klaus Schaller with the Order of Merit of the State of Hesse. His colleagues and employees also came up with a special surprise for the outgoing director: The Department of Enology created a Cuvée called “SchallMauer” which had been specifically produced from wines of regions personally linked to Prof. Schaller. Michael Apitz, an artist from the Rheingau region, designed the label. 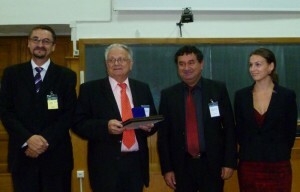 Furthermore, Prof. Schaller received the Müller-Thurgau Award 2009 by Robert Lönarz, president of the VEG. The Müller-Thurgau Award was donated by the Geisenheim Alumni Association (VEG) in 1969. The award is presented to individuals in recognition of their outstanding contributions to the good of research and teaching at Geisenheim, a place of science and education. With a particular kind of gift, the outgoing director was granted a special wish by the Geisenheim Research Center: Schaller was amazed when a Harley Davidson was driven into the auditorium. A motorcycle tour lasting for several days was given to him by his colleagues as farewell present. “Die Preisverleihung des Professor Müller-Thurgau-Preises an Prof. Dr. Klaus Schaller, scheidender Direktor der Forschungsanstalt Geisenheim, erfolgte am 26. März 2009 im Rahmen der Feierlichkeiten zur Verabschiedung von Prof. Dr. Klaus Schaller in den Ruhestand. Die Laudatio hielt Dipl.-Ing. Robert Lönarz, Präsident der VEG – Geisenheim Alumni Association. 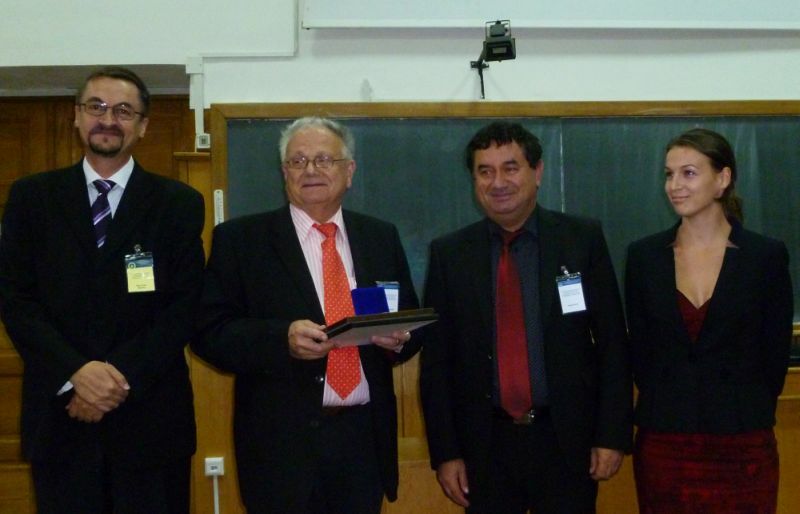 Picture: September 29, 2011 – Dr. Klaus Schaller receiving SHST diploma and medal from Dr. Viorel Mitre (right, SHST President) and Dr. Radu Sestras (left, SHST Honorary President). On the right, Dr. Catalina Dan, secretary of the festivity.